I love Christmas baking and can’t wait to get going on it the minute Halloween is over! This Holiday Biscotti cookie recipe, is one of my favorite Christmas baking recipes and always one of the first things I make. And although they are a little indulgent, they’re still only 1 Weight Watchers freestyle smart point per serving! And because I only make it once a year, I make a lot of it – it’s very popular around here. The pistachios and cranberries give it a really festive look, making it perfect for giving as an edible gift, sharing at a cookie exchange, a Christmas brunch or just for dunking in your own morning coffee! In fact, I LOVE this cranberry pistachio biscotti recipe so much that I actually go into a withdrawal after the holidays are over and I’m trying to get back on a healthier eating plan. And that was the catalyst for the creation of these Healthy No Bake Post Holiday Energy Bites! These energy bites have all the same wonderful flavors as this holiday biscotti, but they are vegan, gluten-free and most importantly, not cookies! If I give this Cranberry Pistachio Biscotti as an edible gift, I wrap it in festive packaging and put it inside a Christmas mug with a coffee shop gift card (great gift for teachers), on my baking trays and/or bring it along to holiday potluck dinners or brunches as a hostess gift, along with some delicious gourmet coffee. And it’s great for a holiday cookie swap! Essentially, “biscotti” means twice baked cookies – they are aptly named according to their method of baking. When these Italian cookies were first created centuries ago, they were baked twice, in order to form their unique shape and allow the cookies to develop their signature crispy texture. The dough is shaped into a large log, baked, then sliced into cookies. These cookies are then baked again, then turned over and baked to perfection! For years I didn’t think I liked biscotti because I had only tried it in coffee shops, where I found it too hard (like break-a-tooth-hard) and it was practically almost always stale. This biscotti is softer than most and has a really nice flavor (again, anise and fennel get a little more playtime here!) but it is still pure deliciousness and won’t fall apart when dipped in coffee, tea, hot chocolate, cider or warm milk (or any hot drink of your choice). But the wonderful thing about this biscotti is that you don’t HAVE to dip it – it is soft enough to eat without dipping! So, if you are looking for a festive Christmas cookie or a unique cookie exchange prospect, then give this biscotti a try! This festive looking Holiday Cranberry Pistachio Biscotti cookie makes a great edible gift and is perfect for sharing at a holiday cookie exchange. 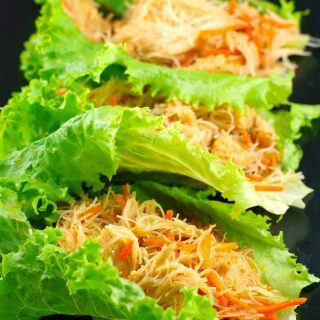 1 Weight Watchers Freestyle smart point per serving! Heads up: There is a 2 hour chilling time before baking! In a large mixing bowl, beat butter with an electric mixer on medium to high speed for 30 seconds, then add sugar, baking powder, baking soda, and salt; beat until combined. . Beat in the 3 eggs, vanilla, and almond extract until combined. Beat in as much of the flour as you can with the mixer. Stir in any remaining flour with a large spoon. Stir the anise, fennel seed, cranberries, pistachios and apricots into the mixture. Cover and refrigerate for 2 hours or until dough is easy to handle. Preheat oven to 350 degrees F. Divide dough in half. Shape each half into a 12 inch log about 1 ½ inches thick. Place logs 3 inches apart on the lightly greased cookie sheet. Flatten each log to a 3/4 -1 inch thick loaf. Combine the 1 egg and 1 tablespoon of water to make an egg wash. Brush egg mixture over loaves. When the loaves are cool, preheat oven to 325 degrees F. Transfer loaves to a cutting board. Cut each loaf diagonally in ½ inch thick slices. Lay slices, cut sides down on cookie sheet. Bake in the preheated oven for 5-10 minutes until lightly browned on bottom. Turn slices over and bake 5 -10 minutes more or until biscotti are dry and crisp. Transfer to wire rack. Cool. Visit me on Pinterest for more great Christmas Baking & Edible Gift ideas! Thanks! One of my faves – been making it for last 14 yrs! Looks scrumptious and if I recall I have had the pleasure of tasting this yummy biscotti. Love the photos too! Perfect biscotti for holidays! The the green pistachios and red cranberries is just a perfect match! Thanks, yes, I make a ton of it every year! A Wonderful Biscotti Recipe for the Holidays Baked Up By Food Meanderings! Hi Lana: Thanks for reblogging! I’m going out to buy the ingredients now…can’t wait to try them! Great -hope you like it! Like you, I think I’ve had one-two-many tooth cracking coffee shop biscottis. I think that it’s time to try a batch of my own so I can get the right idea once and for all. I love that you went with the nuts and dried fruit as well as the seeds. I really like fennel/anise in biscotti, so I was pleased to see that you worked with it! Thanks, Sean! I hope it’s finally a good biscotti experience for you too – it can be sooo good when it’s made right and not stale 🙂 ! Lovely post and thanks for the recipe! I have a buckwheat blueberry bake recipe you may enjoy! 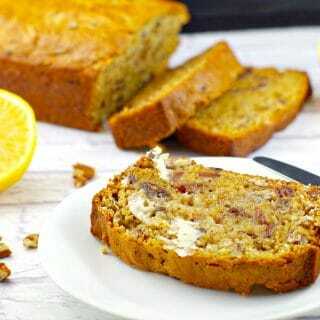 thank you – will check out your recipe! I just made biscotti last night! (https://foreverblissfullychaotic.wordpress.com/) I will definitely be trying yours and sharing your link later this week. Thank You for sharing! Biscotti is a gift from the kitchen that everyone loves to receive! And your recipe is bursting with holiday flavours and colour! Thanks! I’m with you on the tooth cracking coffee shop biscotti. But I love this recipe with cranberries and pistachios, plus the fennel. It sounds and looks so delicious and festive, perfect for edible gifts. Pinning to try! Wonderful combination of ingredients for these Holiday Biscotti Cookies, Terri! Pistachios and cranberries are perfect for holiday cookies. 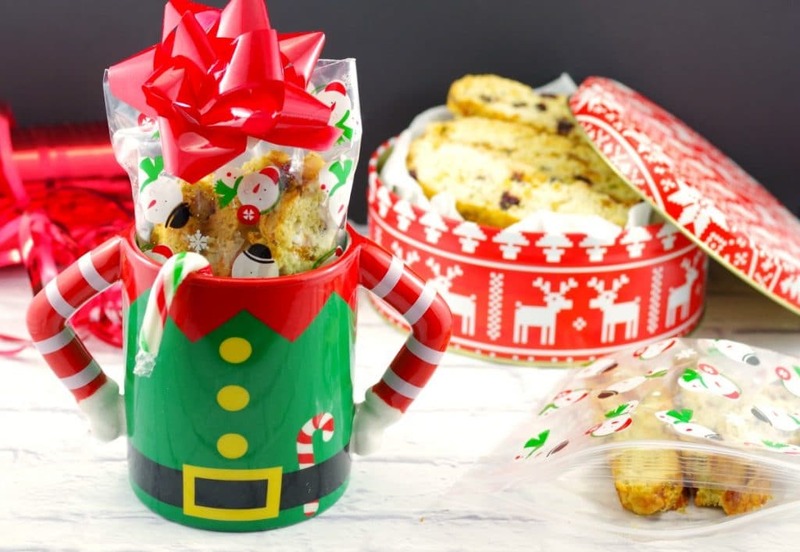 And those cute Christmas mugs sure make great edible hostess gifts. Thanks for sharing! I love holiday baking too, and pistachios and cranberries are always so festive! For me, biscotti is definitely a holiday treat. Perfect for dunking in hot chocolate. Great recipe Terri! Happy weekend!